A mini version of the Jagged Quilt. Find the template on Craftsy. My clothes sewing mojo seems to have been missing for quite a few months. I've made a couple of things, but it seemed like a chore, not an enjoyable hobby. 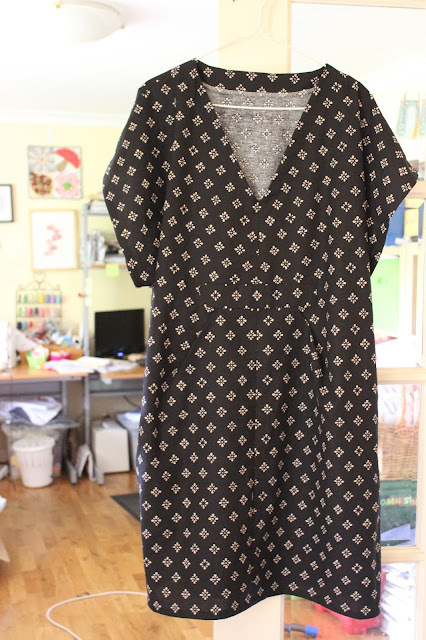 But yesterday I made a Charlie Caftan and really enjoyed the process. I think my clothes sewing mojo might be coming back! I used a linen blend from Spotlight, that I bought on special, so I wasn't too worried about messing the whole thing up. 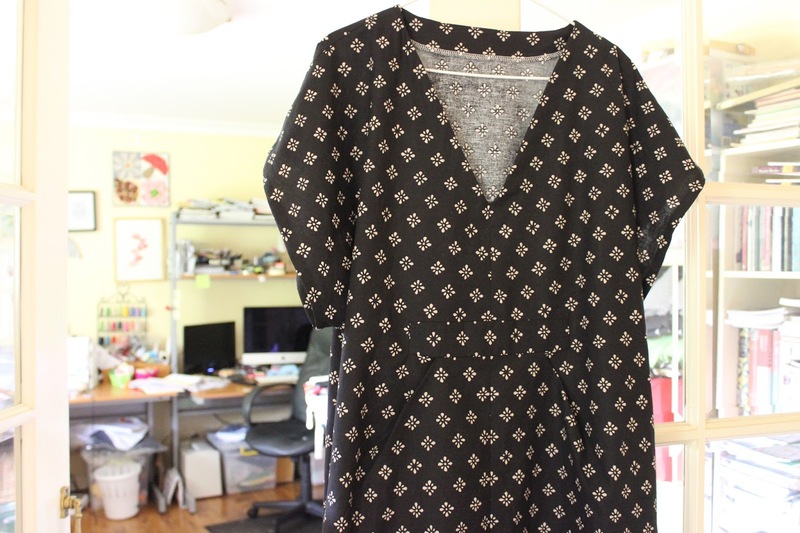 I sewed the size I measured, but the top is a little large, if I make another one I'll size the top down. I also didn't think too much about the sleeves and just made the big ones, which means they are huge, and a little odd, as the fabric does not drape. I'd definitely make the smaller ones next time. 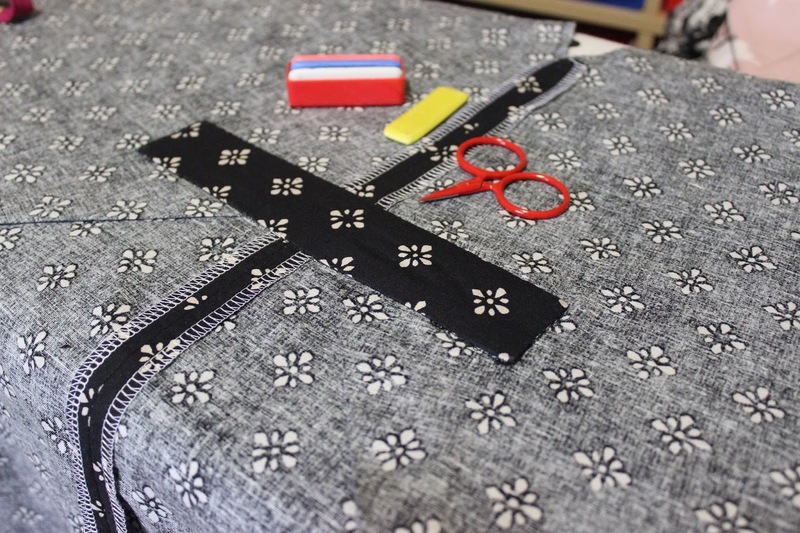 Other than that it went together quickly and easily (the sew along was very helpful with the inset centre panel). I love it, perfect for the warm weather we get in February and March. Now to decide what to sew next. A Bright Bunch is in Homespun this month. This was such a fun quilt to make, I used my favourite bright solids and a white background to make the colours pop! Find a copy on your newsagent now (or digital copies are on zinio). In other news I cleaned a corner of my sewing room and found the perfect second hand chair for it! The plum harvest has been fantastic this year! There's also been a few blackberries we saved as we tried to cut out as much of them as we can (crazy weed around here). I've made the Plum Cake from the book Twelve by Tessa Kiros. It is delicious with or without cream or ice-cream. We've eaten so many crumbles. I even made fruit leather this week. 2/4 kids love it. Which is pretty good for our house. Last week there was a very rustic plum tart. Not sure I used the best pastry recipe, but you can't go wrong with plums and brown sugar.